Did you wake up to a painful pimple? 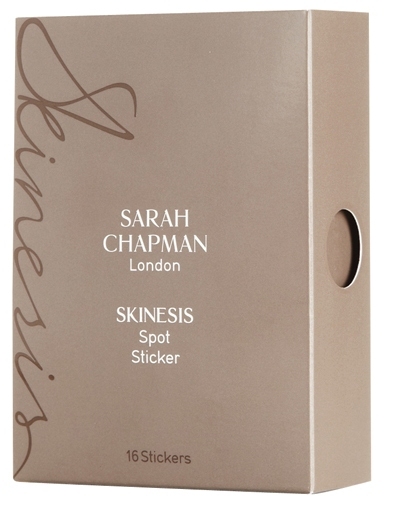 Don’t sweat it, eliminate it in four hours with Sarah Chapman Skinesis Spot Stickers. The combination of salicylic acid, brightening vitamin C, grapeseed extract and soy will zap that zit. Is your skin red and irritated by too many products, harsh weather or a new beauty purchase? Stay calm and soothe skin with Dr. Gross’s Hyaluronic Marine Hydrating Modeling Mask. This humectant-heavy mask returns skin to its optimal level of hydration in minutes and calms any flare-ups. Didn’t catch enough Zs? Fake eight hours of beauty sleep with Patchology Flashpatch Eye Gels. These hard-working gel patches are soaked in caffeine, plumping hyaluronic acid and amino acids to de-puff and de-wrinkle the eye area so you look refreshed and glowing. Are your pores looking large? Reach for Boscia Charcoal Pore Pudding Intensive Wash-Off Treatment and let the charcoal and kaolin clay pull all the dirt out and minimize pores to give a post-facial smoothness and glow. Are you seeing self-tan streaks? Use Murad Rapid Resurfacing Peel. Its glycolic acid dissolves patches on knees, elbows, ankles and any other trouble spots. Do you have a sore spot? Don’t ignore it, invest in Renee Rouleau Anti Cyst Treatment. Dot this powerhouse of lactic and citric acid gel on the area and instead of popping, it will disappear.